Buhari & Desperate Action On CJN: Beginning Of Dictatorship? Yesterday, President Muhammadu Buhari surrendered all pretence to the rule of law and constitutional democracy by sacking the Chief Justice of Nigeria, Walter Onnoghen. Unilaterally and in flagrant violation of the Constitution, he also swore in Tanko Muhammad as the new acting CJN. By this act, the President has precipitated needless confusion in the polity. A shocking action, it will aggravate tension ahead of the general election in February and March. This poses a great peril to our democracy. Onnoghen’s travails began late in 2016. His substantive elevation as the CJN suffered delay by the Buhari government to the bewilderment of the public. Early in 2017, he was eventually nominated by Vice-President Yemi Osinbajo, who was then the Acting President and was sworn into office in March (2017). But the real signs of trouble blew open on January 7 when a civil society group, the Anti-Corruption and Research Based Data Initiative, filed a petition with the Code of Conduct Bureau, accusing Onnoghen of corruption and false declaration of assets. The CCT immediately took over from there, commencing the trial of the CJN. Initially, the Buhari Presidency denied having anything to do with his arraignment. 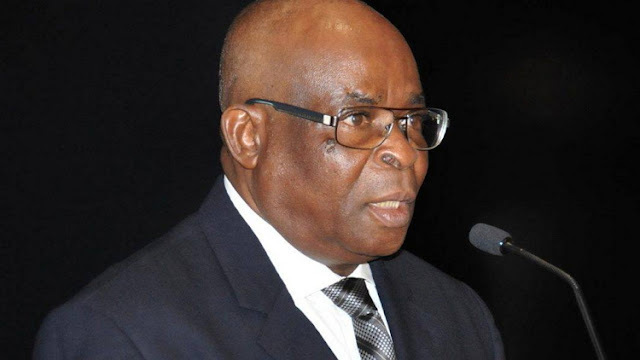 In spite of criticism that the move against Onnoghen did not follow laid-down rules the trial proceeded with unusual speed. But on Thursday, the Court of Appeal, Abuja Division, in its ruling, ordered the CCT to stay action, pending the determination of Onnoghen’s application that the CCT had no power to try him. Before his suspension, Onnoghen was due to swear in members of the National Assembly, governorship and state assembly election petition tribunals. Needless to say, the President’s singular and misguided action has the tendency to plunge the country into an unnecessary constitutional crisis and, perhaps, derail 20 unbroken years of democratic governance. This is not unlike other despotic and undemocratic acts that the government has been associated with in the past, even if it might be considered more audacious, far-reaching and probably unexpected. Buhari’s tenure has witnessed an invasion of a national newspaper, DAILY TRUST, over a publication considered to be offensive by the military. Despite numerous court orders, the Buhari government has refused to release the leader of the Islamic Movement in Nigeria, Ibrahim el-Zakzaky. The cleric and his wife, Zinat, were clamped into detention in December 2015 after Shi’ite members clashed with the convoy of the Chief of Army Staff, Tukur Buratai, in Zaria, Kaduna State. Likewise, the government has disobeyed several court rulings for the release – on bail – of Sambo Dasuki, the National Security Adviser under Goodluck Jonathan, Buhari’s predecessor. Dasuki is being tried for allegedly mismanaging $2.1 billion, fund meant to procure arms for the military to fight the Boko Haram insurgency. How do dictators hold onto power? James Tilley, a professor of politics at Oxford University, says the totalitarian tyrannies of Stalin, Hitler, Mao, Pol Pot, and others relied largely — although not exclusively — on mass terror and indoctrination. Nigerians must see through Buhari. He wants to convince the public that he is fighting corruption, but his hidden agenda is to institute an autocratic regime. Nigeria’s democracy can no longer be considered to be out of harm’s way. After close to three decades of brutal military dictatorship, the country deserves the right to enjoy her hard-earned democracy in peace. Nobody else can defend it but Nigerians themselves. It is, therefore time for the civil society to rise and nip in the bud what is turning out to be a gradual but seemingly inexorable descent into a full-blown dictatorship.